In order to alleviate the stress associated with a surgical procedure, we take every measure to ensure that your pet is safe and comfortable every step of the way. At Tri-County Animal Hospital, we are committed to providing the best pre-operative and post-operative veterinary care. We use the latest technology to ensure your pet has a positive and pain free surgical experience, and our staff will communicate with you before, during, and after your pet’s procedure. Whether your pet’s surgery is planned or is a result of an emergency, we are dedicated to keeping your pet as comfortable as possible after his or her procedure. 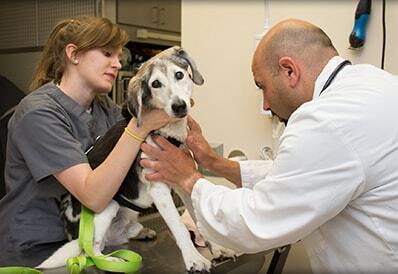 Our veterinarians will develop a unique and comprehensive pain management plan to help alleviate any discomfort following the surgery. Visit our pain management page to learn more about our pain management protocols.